Mary and Frances Black are two of Ireland’s most popular and successful singers. 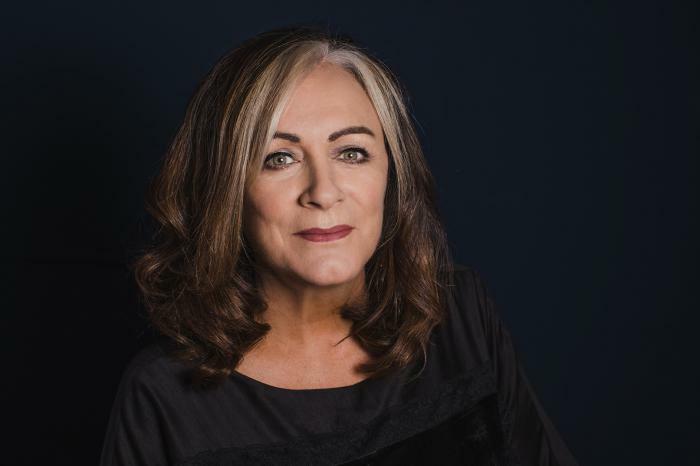 Born in Charlemont Street in Dublin to Patty and Kevin Black, they grew up with their brothers, Shay, Michael and Martin, all of whom also sing. 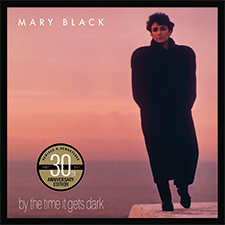 Having performed with General Humbert, Dé Danann and the Black Family, Mary released her first solo album in 1983. Her newly released album, “Full Tide,” is on sale from this week. She is married to Joe and has three children, Conor (24), Danny (20) and Róisín (17). 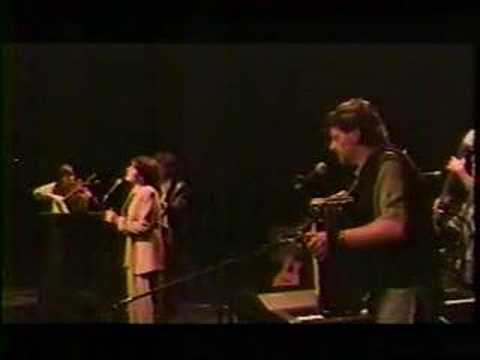 Frances was a member of Arcady and the Black Family, and performed as a duo with Kieran Goss, before releasing her first album in 1994. Having overcome a problem with alcohol addiction and the break-up of her early first marriage, Frances is currently studying to be an addiction counsellor. She will perform at the Olympia theatre on January 29th, followed by a nationwide tour. Frances is married to Brian, and has two children, Eoghan (25) and Aoife (23). I was 5 when Frances was born, and there was a big commotion on the street, and someone came running up to me and said that my Mammy had just come home with a new baby. I remember running down and looking at this tiny little thing, and I was absolutely blown away by her. I thought she was the most beautiful baby I’d ever seen, and I can still remember looking at her little fingers and toes. And, of course, I was really excited at having a sister because I had three brothers. Frances had big blue eyes and a mop of curly blonde hair as a baby, and everyone used to stop and say how gorgeous she was. I wasn’t jealous around her - I knew she was the baby and I was the big girl. I took on a maternal role with Frances quite naturally, and I remember her first steps almost more clearly than I remember my own children’s. Frances became a bit of a rebel when she was 12 or 13, and I didn’t like some of the people she was hanging around with. I really used to give out to her about it, and she’d tell me where to go! She grew out of it after a while and she was grand then, apart from the fact that she used to rob all of my clothes, which used to drive me insane. As we got into early adulthood, I felt that things seemed to fall better for me than they did for Frances, and I always tried to take care of her and make up for it. It was when she had her son Eoghan at 19, that I really put my arms around her and said that I’d look after her. Frances was the one who turned her life around though, and I really admire her so much for coming through it all and making such a success of things. When my career started to take off, Frances was a great support to me and used to help out by minding my children, and when she started to make it as a singer, I offered the same support to her. Regardless of what some people may like to think, there has never been any competition between us. I was absolutely delighted when she became so successful. Frances and I are best pals, and I find that the older we get, the closer we become. She’s absolutely brilliant and so kind and good, and she really puts herself out for other people. I think she’s very like our mother in many ways, because, where I tend to be a bit more reserved initially. Frances gets straight in there with people. She’d be more openly generous with herself, which I think is a very nice thing to be. Mary is fantastic, and she has always given me great advice and helped me to make the right decisions. We were just normal sisters growing up, but we used to kill each other when we got older though, particularly over her clothes. There was one incident that happened when she was about 18 and I was 13, when she bought herself this really gorgeous and expensive pair of shoes. They were so beautiful that she didn’t even wear them herself, and kept them in the wardrobe for special occasions. She’d go off to work in the morning, and I used to take them out and wear them into school. She went to wear them one night, and discovered that they were wrecked, so there was murder! She put a lock on the wardrobe after that, but I managed to pick it! I had Eoghan when I was very young, and I moved in to Mary and Joe’s house. Mary was such a tower of strength to me at that time, and she really minded me. I never really appreciated it enough at the time, but I’ll always be really grateful to her for looking after me and being so supportive. When I got an opportunity to make my first solo album, I didn’t feel confident enough to do it, and it was Mary who encouraged me and gave me great advice. We both minded Mammy between us before she died, and it really made us close because we got to see each other a lot more. I think Mary and I are very alike in many ways. We might not get to see each other for months, but we’d often turn up at gigs or launches and we’d be nearly identically dressed. We have the same ideals on parenting and family too, and being a mother is the most important thing in the world to us. I know that no matter what happens in my life I could go to Mary, and she’d be there for me, and that’s a brilliant thing to know. And I’ll always be there for her. Mary is such an open and giving person. She’s the kindest person I’ve ever met, and she’s really thoughtful. No matter how crazily busy her life is, she’ll always make time for other people, and put them first.